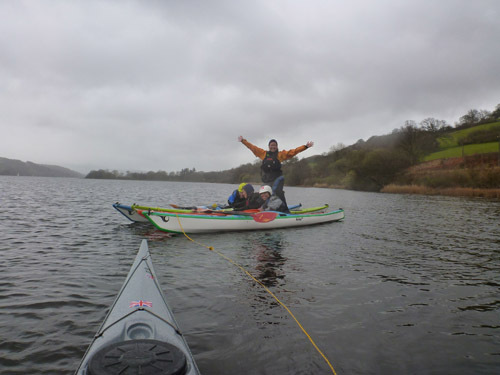 Earlier this month, Mark and I made our way to the Ladies Paddle Symposium, which is based out of Bala in North Wales. This was our first year at the event, and it was an absolute blast. One of the things that makes this event unique is that it provides instruction in so many disciplines. Classes were categorized into skill levels, and the disciplines to pick from were white water kayak, open canoe, sea kayak, White Water Safety Rescue (WWSR), freestyle and raft. 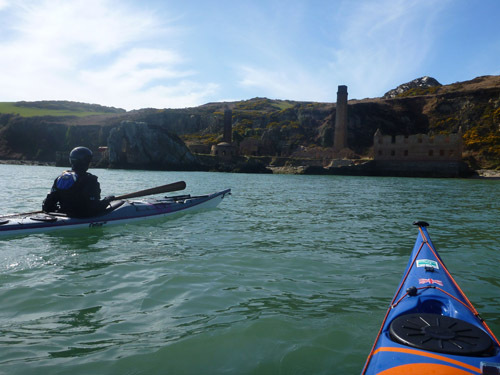 Mark and I instructed beginning sea kayaking on Saturday and intermediate sea kayaking on Sunday. On Saturday evening I ran Yoga for Paddlers, which was so popular that we ran out of space. All in all it was a great event and wonderful to meet so many enthusiastic ladies. 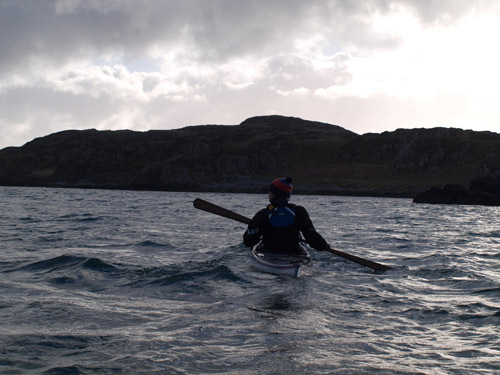 There are lots of ways to play around in a kayak. 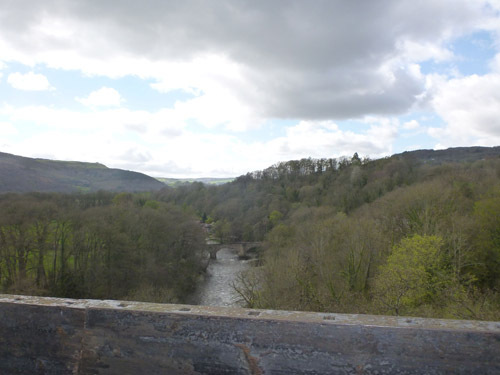 After leaving the event we headed to Llangollen, also in North Wales. Llangollen is a charming little town with a canal that runs through it. 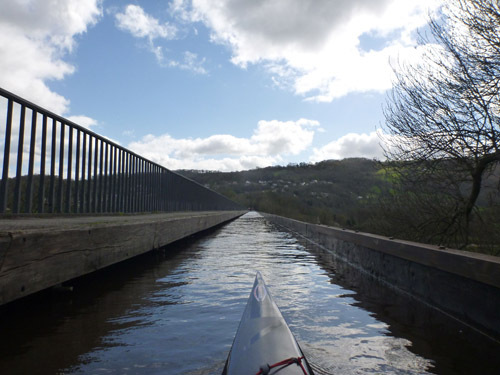 Part of the canal system contains the Pontcysyllte Aqueduct, which caries the Llangollen Canal over the River Dee at an astonishing height of 126 feet. Of course, we paddled it, because how often do kayakers really get to paddle over a river? The River Dee is a long way down. 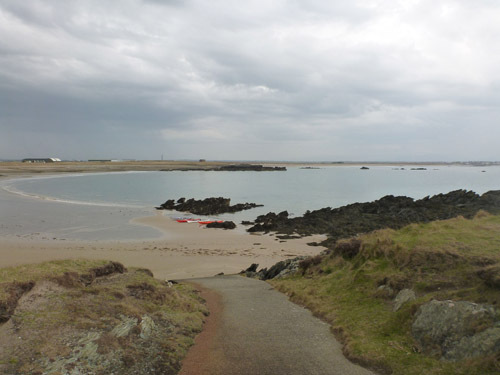 After that adventure we headed north to Islay, Scotland. Islay has been on our wish list of places to go for awhile, and it was wonderful to spend a couple of days there, soaking up the peaceful island and a few of the distilleries. 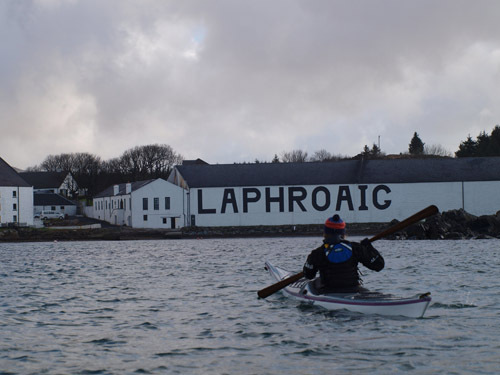 It was lots of fun to explore by land and then paddle along the coast for a distillery tour kayaker-style. 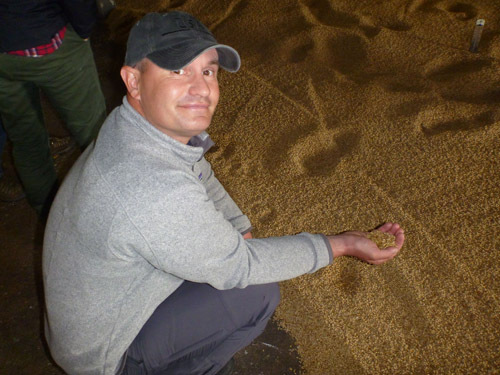 Mark checks out the barley which is spread on the floor of the Laphroaig malting house to germinate. 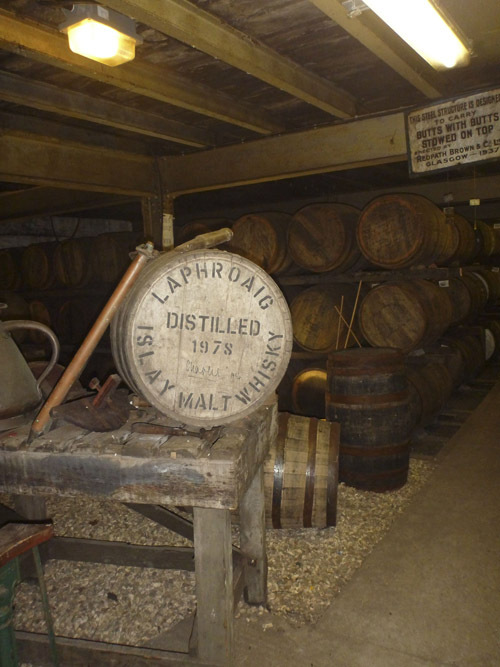 Whiskey is matured in oak barrels. 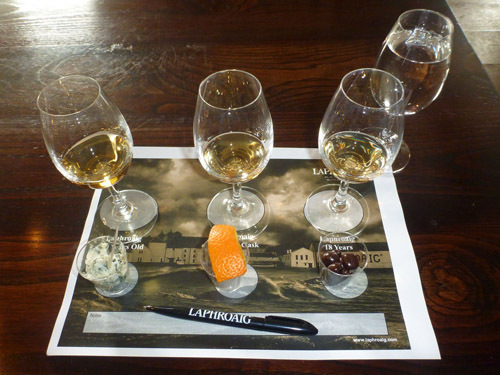 At the end of our tour we did a tasting. 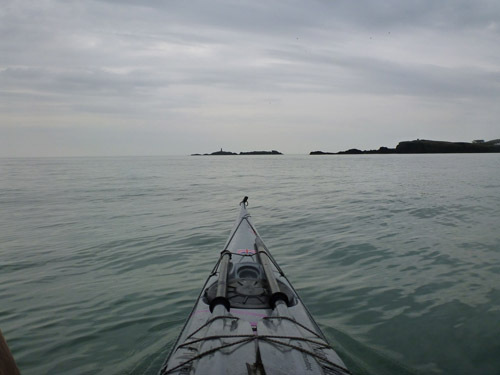 The following day we went for a paddle. And visited my favorite distillery one more time. After leaving Islay we headed to Oban. 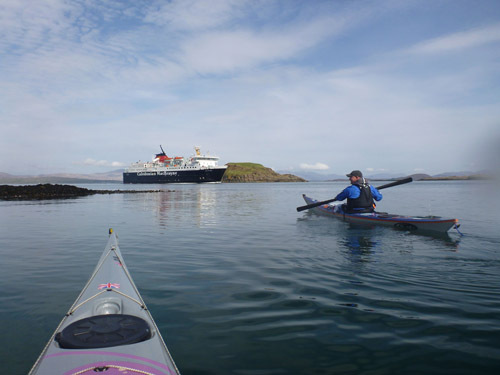 Oban is another wonderful place in Scotland, and one that we’ve visited a few times. It was great to be back and to catch up with some of the locals. 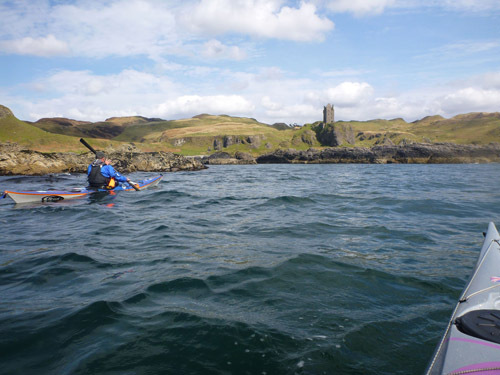 It was also fun to paddle around Kerrera with a stop for lunch at the Gylen Castle, which was built in 1582. 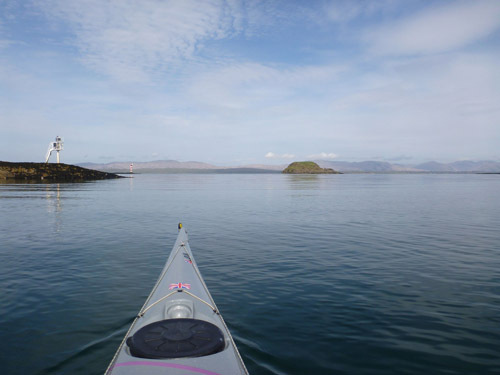 A gorgeous day to paddle around Kerrera. For the first half of the trip the water was undisturbed except for the wakes from passing ferries. A castle is always a good place to stop for lunch. After a couple of days in Oban I flew back to California to run classes locally, while Mark stuck around for a few days to run classes in Scotland. Mark and I both have birthdays in March. That’s also the month that we celebrate our wedding anniversary, and we decided to do something special this year. 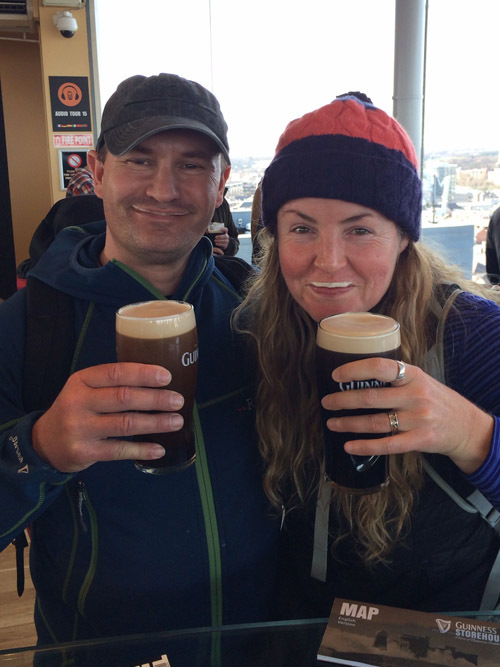 We were already in Wales, so it was just a hop, skip and a jump (or a short ferry crossing) over to Ireland to celebrate both Saint Patrick’s Day and our anniversary. Saint Patrick’s Day in Dublin. 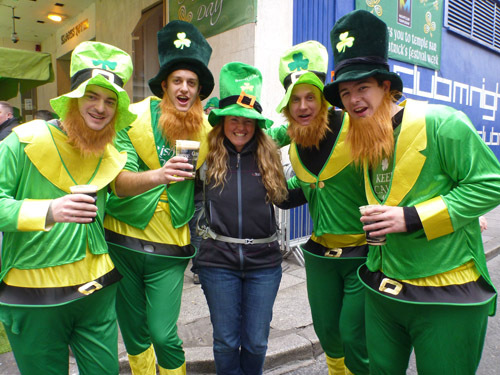 Saint Patrick’s Day in the U.S. is celebrated by eating corned beef (if you’re a meat eater), cabbage and potatoes, and by drinking beer. It’s a festive holiday where people wear something green, and if they don’t, their friends will pinch them. Spirits were high, and there were lots of costumes. 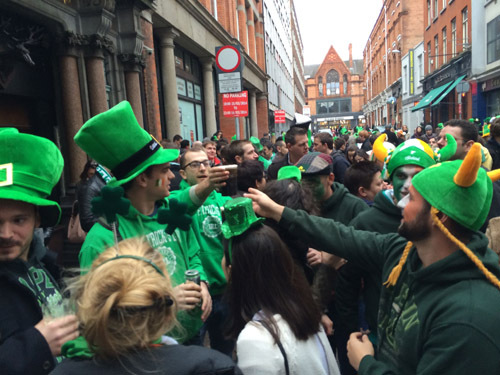 Saint Patrick’s Day in Ireland is a massive party. Streets are packed with people, carnival rides operate at several corners, most people display an Irish flag in some form or another, and there is Guinness everywhere. Oh, and there’s no pinching going on, because everyone is wearing green. 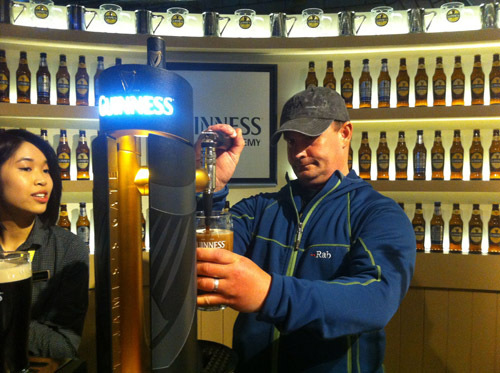 Being in Ireland for Saint Patrick’s Day was a wonderful experience, and I really enjoyed watching the Irish (and lots of other people) show their Irish spirit. Perhaps just as nice though, was the day after, which is also our anniversary. The streets were quiet, and miraculously all of the garbage that had been tossed on the ground the day before, had disappeared. For the next couple of days we strolled around by foot, enjoying the sights of Dublin, as well as lots of traditional food and drinks. 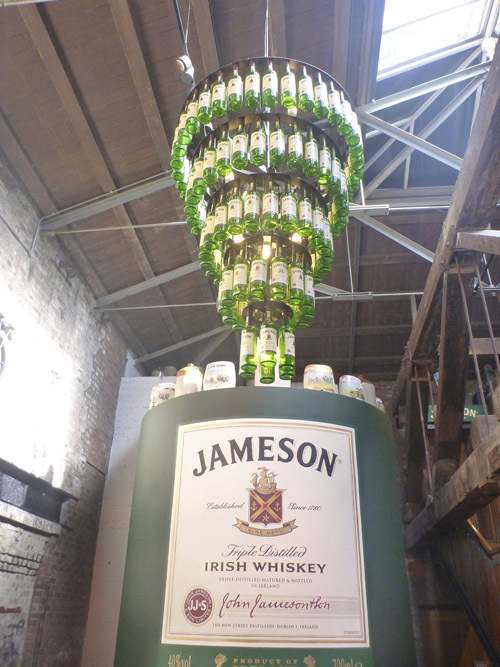 Dublin is home to the Jameson Distillery. After three days in Dublin we boarded a ferry that had the ammenities of a small city, and made our way back to Wales where we ran a Simplifying the Roll class out of Point Lynas. Compared to the snowy conditions of last year, this year’s temperatures were ‘almost’ tropical, and the full class of rollers did very well. Watching porpoises from Point Lynas. They’re hard to capture on camera, but they were really fun to watch. 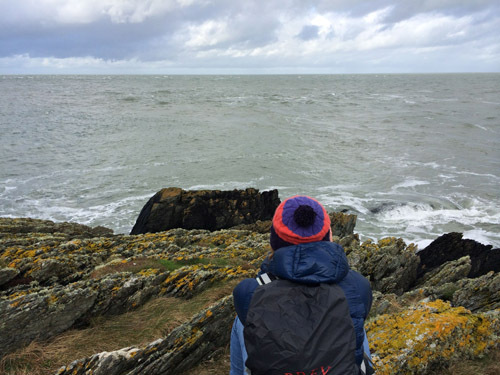 Later in the month clients Malene and Magne arrived from Norway, for our five-day “Anglesey Adventure.” Day one took us from Trearddur Bay to Silver Bay and back. There were lots of archways and caves to explore. Anglesey is a magical place. Silver Bay was a great turning around point. It was also a good place for lunch. The Rhoscolyn Beacon is a distinct feature. This offshore rock is only exposed during extreme tides, and with the combination of Spring Tides and a Spring Equinox climbing it was a fun part to the day. Malene and Magne were true adventurers and swam from their kayaks to the exposed Maen Piscar. 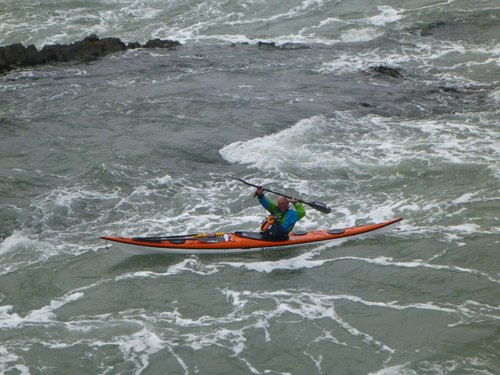 Day two took us from Moelfre to Cemaes Bay. 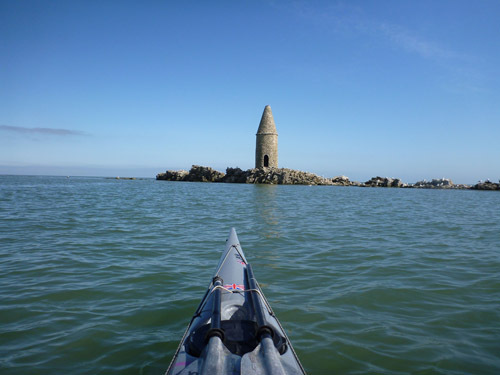 Ynys Dulas is a wonderful island to paddle to. The old brickworks buildings was an obvious place to stop for lunch – and to explore. 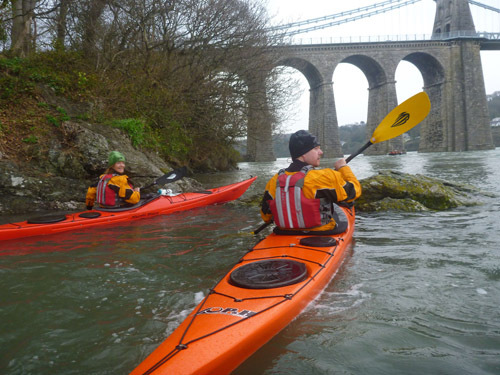 On day three the weather wasn’t great for being on the coast, so we headed to the protection of the Menai Straits, where Mark gave a moving water class in The Swellies, which is located between Menai and Brittania bridges. 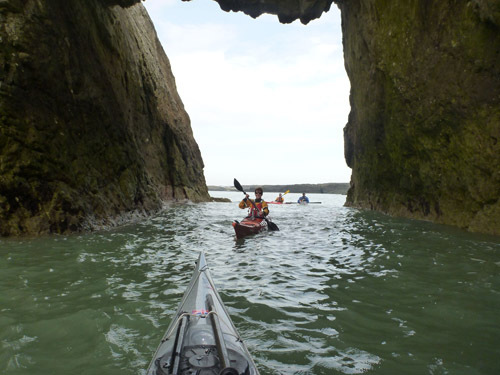 Sea caves, Menai Straits style. Here Mark rests in front of Plas Nywedd. We used the eddies as much as we could to make our way through The Swellies. 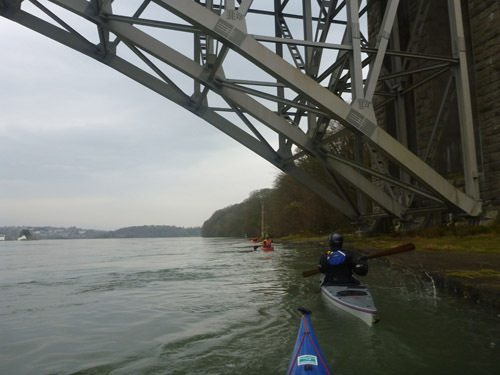 Talking about crossing eddy lines before heading out into the current under the Menai Bridge. Sometimes learning about moving water can be enhanced by standing above it and watching. 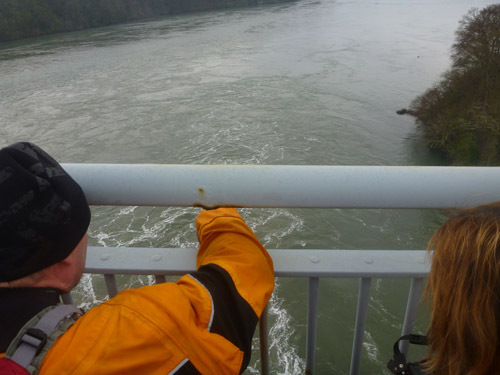 Plus, the view from the Menai Bridge is stunning. Maybe one of the prettiest places to teach rolling. Day four took us to Llyn Padarn, where I taught a rolling class, and then we explored, showing our clients a little bit of the beauty of Wales that can be found on land. 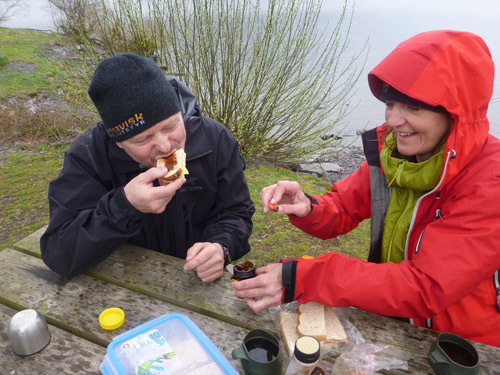 A true cultural experience – trying Marmite. Names in Welsh can be lloonngg. 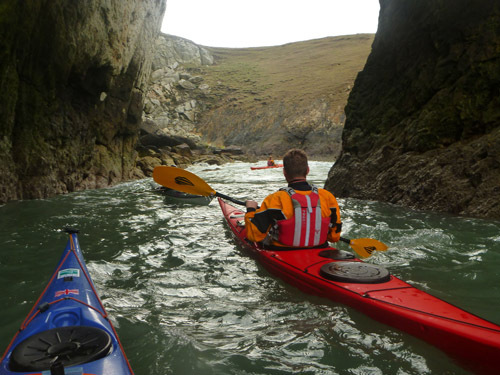 Day five we headed out from Porth Dafarch , through the tide race and overfalls of Penrhyn Mawr, and past South Stack and North Stack, ending the day at Soldier’s Point. It was a wonderful five days of adventure, both on and off the water. There’s just something funny about being hit by the spray from a blow hole. Studying Penrhyn Mawr from above before passing through. Steve shows us how it’s done. 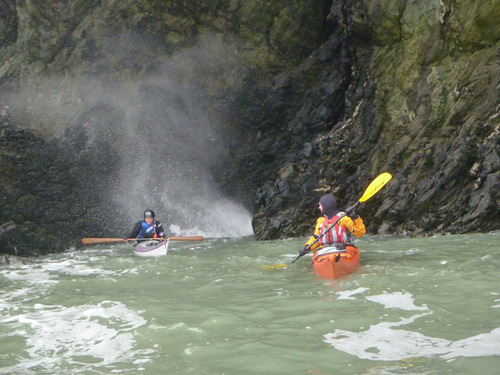 We’ll be having an Anglesey Adventure again next year, in case YOU would like to join us. For us, March was a month of celebration. Both our birthdays fall in March, and so does our wedding anniversary. March is also the celebration of season changes. The days get longer, and the grass turns from brown to green. We’re currently in Wales, and tiny lambs are roaming the hills, flowers are popping up in every crevice and field, and life is once again appearing. The other great thing about spring is that the whole kayaking season lies in front of us, and this year is looking very exciting. 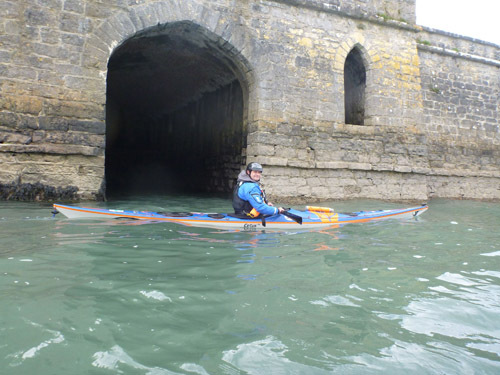 In March, Helen headed to Half Moon Bay to teach Simplifying the Roll and Combat Rolling for California Canoe and Kayak. 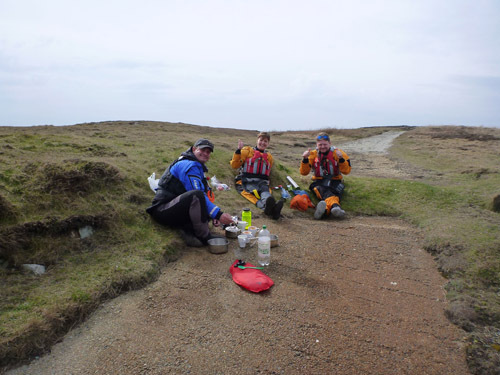 Mark ran a BCU 4 Star Sea Assessment with James Stevenson, and we brought in guest instructor Pete Jones to run BCU Coastal Navigation and Tidal Planning. After that, we hopped on a ferry to Dublin, Ireland, where we celebrated Saint Patrick’s Day and our wedding anniversary. 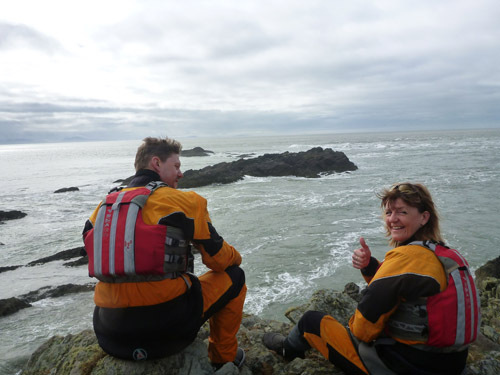 Once we were back in Wales we ran Simplifying the Roll, BCU Open Water Navigation and Tidal Planning and a BCU 5 Star Sea Assessment. 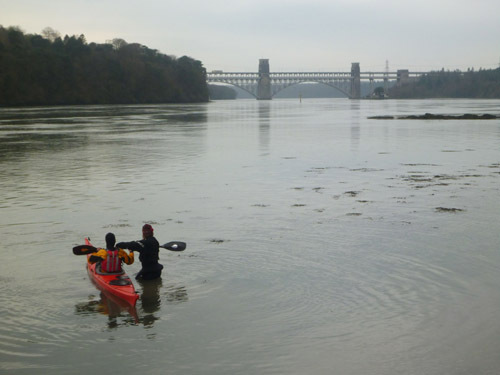 At the beginning of April we are guiding an expedition around Anglesey, and then we head to the Ladies Paddle Symposium, also in Wales. After that we go to Scotland, where Mark is teaching an Advanced Leader and Trip Planning class. 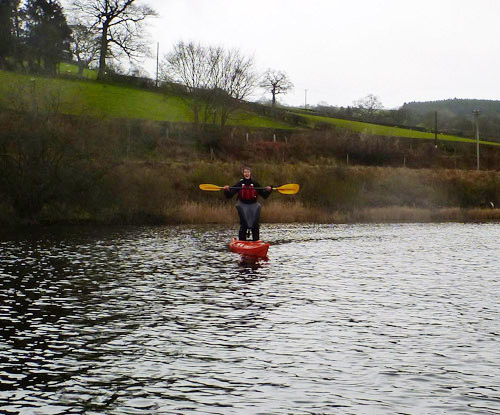 Meanwhile Helen is flying to the U.S. to run Yoga for Paddlers and a Paddle Day for our local club, Explore North Coast, teaching Combat Rolling and sticking around to teach private rolling classes during the ENC Kayaking Social. Later in the year we have classes and symposia scheduled in the U.S., Wales, Scotland, Sweden, Denmark, Norway, Israel and Mexico. We will also be guiding an expedition in South Greenland, which is now fully booked. We’ve been working hard on organizing the U.S. Storm Gathering symposium, taking place in Trinidad, California on March 6, 7 and 8, 2015. Save the date! As usual, visit www.greenlandorbust.org (http://www.greenlandorbust.org/) for more information and our current Events calendar and Blog postings. For questions, comments or to schedule us in your neighborhood, email info@greenlandorbust.org. If you have ever worked towards a specific goal, be that learning a certain technique, perfecting a roll or preparing for an assessment, the chances are you may have received some guidance from a friend or coach along the way. But what happens afterwards when the goal is accomplished? You might consider becoming a mentor to someone else who is on the same pathway. Mentoring can be a powerful personal development and empowerment tool for everyone involved. Not only is the mentee challenged and guided, it is also a test of the mentor’s knowledge and understanding of the subject. 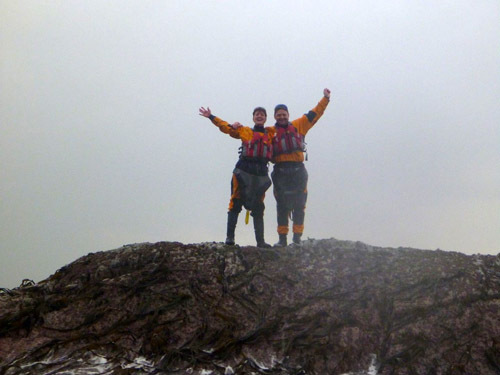 For instance, if someone has recently become a sea kayak leader, not only can they share their experience of the assessment process but also what they did to get to that point. Mentoring should be a helpful relationship based upon mutual trust and respect. It not about ‘do it my way or it’s the highway,’ but more about wisdom sharing and reflection.